It was a balmy kind of evening, a cool start to the buzz starting to build up at the main entrance to Robinsons KL in Jalan Ampang, Kuala Lumpur. The doors were sealed and security guards politely turned away shoppers and the curious, telling them the department store was closed for a private event. Fashion folk. Celebrities. Bloggers. Media. From 7pm, they showed up at the registration desk to get admitted to the highly-anticipated Grand Launch of Robinsons flagship store, a by-invitation-only event. The special VIP Night was to kick off #CurateYourWonderful, an exclusive four-day experience of curated shopping at Robinsons KL. 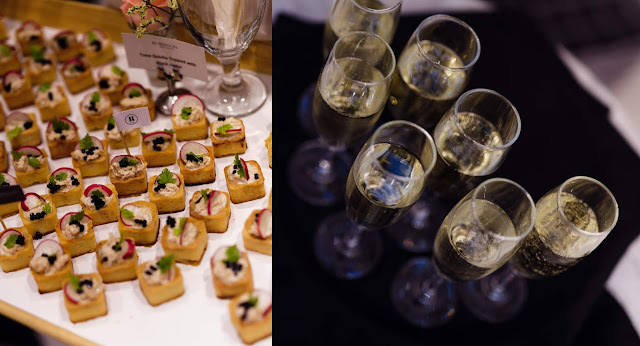 Inside, the air of anticipation was thick as guests sipped on sparkling proscecco and lychee mocktails while nibbling dainty hors d'oeuvres including smoked salmon and cream cheese on crackers, mini tuna brioche and deepfried wanton as well as mini chocolate eclair, meringue and cream puffs. 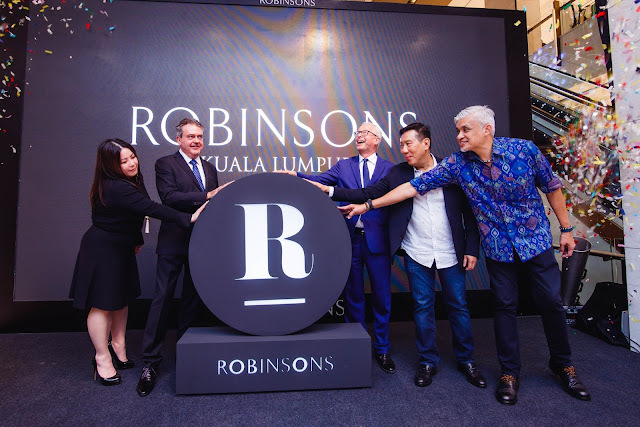 Caught mingling with the guests were Paul Delaoutre (President, Al-Futtaim Group), Christophe Cann (Group CEO, Asia of Al-Futtaim Group), Ashley Taing (GM and director of Robinsons Malaysia), Datuk David Ban (Exec. Director, Venus Assets) and Zahir Kelvin Ong Abdullah (Director, Venus Assets). First, Christophe Cann welcomed everyone with a short speech and confetti rained down. 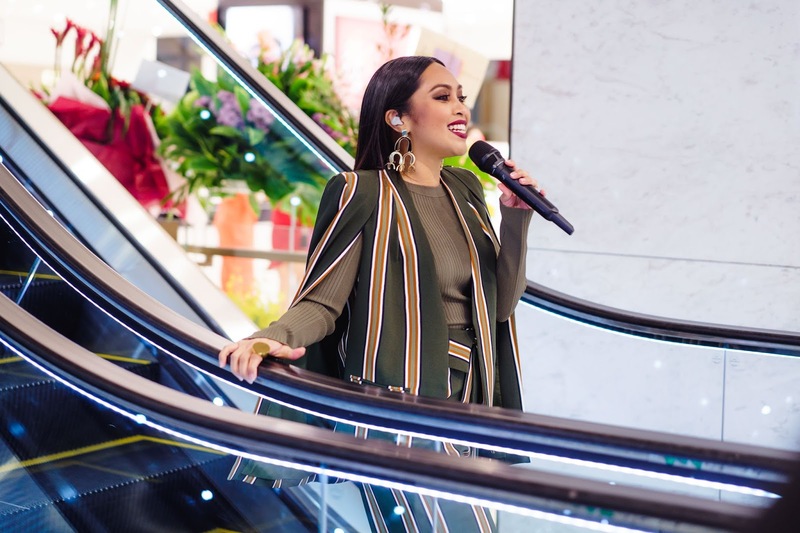 Then Sarawakian singer Dayang Nurfaizah, dressed in an Alexander Wang outfit (available exclusively at Robinsons) entertained the crowd. That was not all. Though closed to the public, the department store stayed open till midnight while the VVIPs partied and shopped. Photowalls allowed guests to capture their pictures which they could emailed to themselves instantly. At the Virtual Fashion Box, guests were videographed in their OOTDs and this was broadcasted live on LED screens. Then there were games to evoke a carnival ambience. There was the Claw Machine, Wheel of Fortune and Ring Toss where guests won prizes including Chantelle Mirrors, Insect Repellent Spray by AG Touche, fridge magnets and more. We downloaded a digital passport from www.curateyourwonderful.com and then scanned our personalised QR code at various touch-points on every floor to redeem gift vouchers worth between RM30 and RM50. Meanwhile, some women guests were spotted eagerly having their hair curled at the new Dyson Airwrap corner. It was not just shopping either. 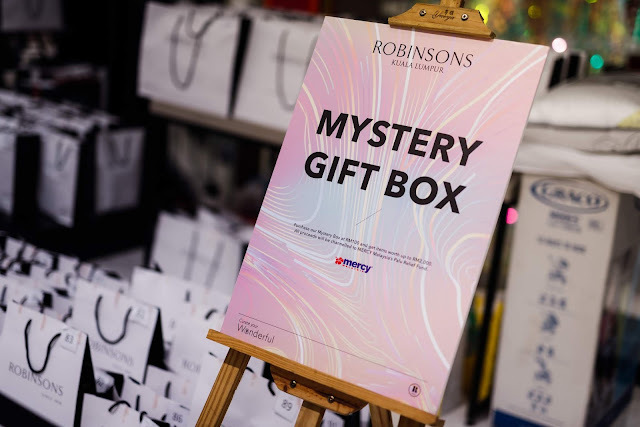 Guests also did their part for charity at #CuratedCollection where Mystery Boxes went on sale at RM100, with proceeds going to Mercy Malaysia’s Palu Relief Fund to help tsunami victims. Each box contained items worth between RM200 and RM2,000. 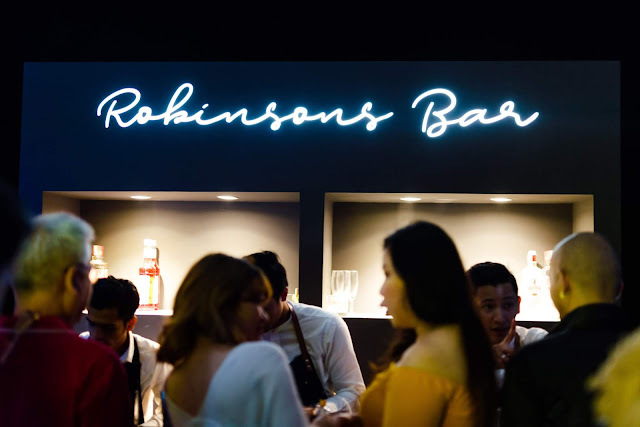 At 9pm, we made our way to Robinsons #SecretlyWonderful Speakeasy Pop-up Bar, set up exclusively for the evening. Up-and-coming band Ryot Jones played live to an appreciative crowd while deejays fuelled the synergy further with a great music selection. The Grand Launch continued till Sunday (October 28, 2018) for the public. Friday was set aside specially for Robinsons card members who had a chance to take part in the games and treats set up for the previous evening’s launch event. Food and drinks were served all day long, together with special discounts at F&B stores. 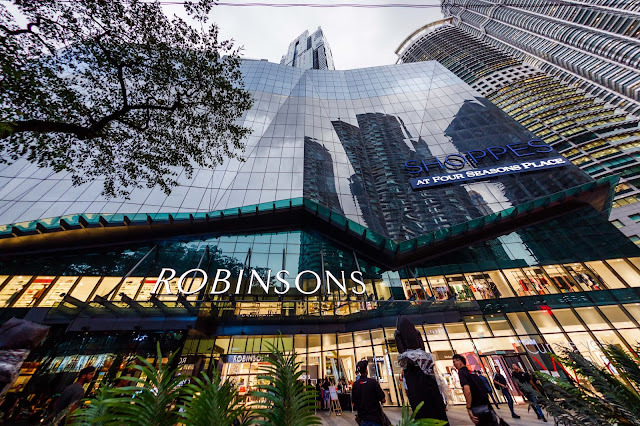 Robinsons KL offers 4 floors of retail satisfaction spread over 18,500 sq metres. Spacious. Stylish. Sharp. 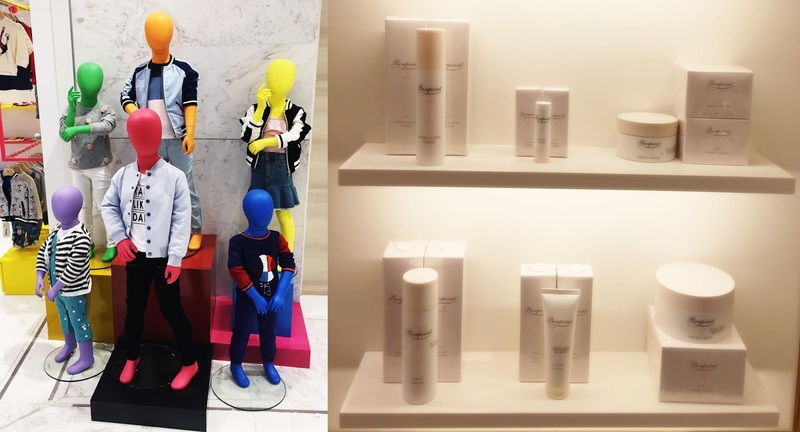 It will take hours to browse through the various stores and mind-blogging variety of merchandise, many of which are names found exclusively at Robinsons. From shoes and bags to clothes, cosmetics, luggage, watches, accessories… it’s all there. And not just purchases to bring home. In between swiping your credit card or if your feet ache from stomping the aisles, you can sit down for well-deserved coffee and cakes at SevenFriday Space, Croisserie Artisan Bakery or Starbucks Reserve; La Bodega promises to open in a couple of weeks’ time. Or take a break and relax with a manicure/pedicure and a haircut amidst a garden setting at Leekaja Korean beauty salon. As Christophe Cann said, Robinsons’ “focus is to never be a regular department store”. 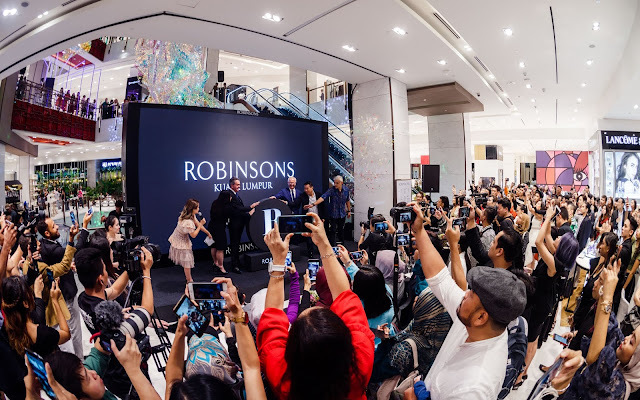 Instead, it will bring shoppers brand names that are not found anywhere else in the city so that they will always find something each time they shop at Robinsons. Apart from carefully curated merchandise and dining, you can also expect beyond shopping experiences such as personal style consultants and porter services.